N 46° 20' 36" and W -79° 26' 26"
Fricker in Ontario is located in Canada about 191 mi (or 308 km) west of Ottawa, the country's capital town. Current time in Fricker is now 05:48 PM (Friday). The local timezone is named America / Toronto with an UTC offset of -4 hours. We know of 8 airports close to Fricker. The closest airport in Canada is North Bay Airport in a distance of 2 mi (or 3 km), North-East. Besides the airports, there are other travel options available (check left side). While being here, you might want to pay a visit to some of the following locations: Toronto, Milton, Lockport, Albion and Woodstock. To further explore this place, just scroll down and browse the available info. Let's start with some photos from the area. Final score: 112 red, 82 blue. 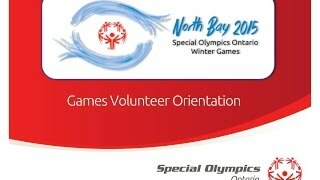 Volunteer Orientation Video for the 2014 Special Olympics Ontario Provincial Winter Games to be held in North Bay, Ontario. 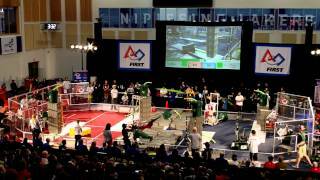 Final score: 167 red, 100 blue. 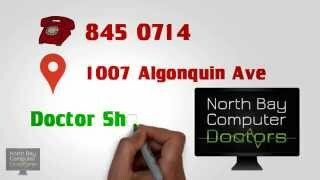 North Bay Computer Doctors Is Your #1 Spot for whatever ails your computer, from desktops to laptops, cell phones and tablets Sheldon Forgette can do it all! Visit www.NorthBayComputerDoctors.com. Final score: 132 red, 144 blue #omgrobots. The CIM-10 Bomarc, which was introduced in 1955 and retired in 1972, was the only surface-to-air missile (SAM) ever deployed by the United States Air Force. All other U.S. land-based SAMs were and are under the control of the United States Army. The supersonic Bomarc missiles were the first long-range anti-aircraft missiles. Rocket-boosted and then ramjet-powered, they were capable of carrying conventional or nuclear warheads. Located at 46.4294, -79.4711 (Lat. / Lng. ), about 6 miles away. Nipissing University is a public liberal arts university located in North Bay, Ontario, Canada, on a 720-acre site overlooking Lake Nipissing. The university's unique character is defined by its location in Northern Ontario, and a large and highly respected faculty of education. Located at 46.3399, -79.4923 (Lat. / Lng. ), about 2 miles away. 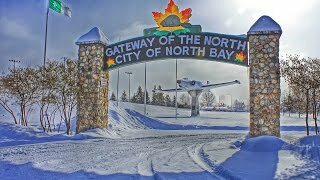 22 Wing/Canadian Forces Base North Bay is the most important military base in the country with respect to the continental air defence of North America and the air sovereignty of Canada. It is also home to one of the most unique military installations in North America, the NORAD Underground Complex, a bunker the size of a shopping centre, 60 storeys beneath the surface of the Earth. Located at 46.3571, -79.4151 (Lat. / Lng. ), about 2 miles away. 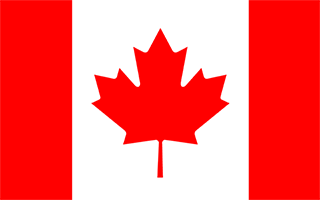 Canadore College is a college of applied arts and technology located in North Bay, Ontario, Canada. It was founded in 1967 as a campus of Sudbury's Cambrian College, and became an independent institution in 1972. The enabling legislation is the Ministry of Training, Colleges and Universities Act Canadore has a full-time enrolment of 3500 students and is well known for its popular summer arts program, "Artsperience". Located at 46.3442, -79.4919 (Lat. / Lng. ), about 2 miles away. The Nipissing Lakers are the athletic teams that represent Nipissing University in North Bay, Ontario, Canada. The Lakers varsity programs compete in men's ice hockey, volleyball, soccer, cross country running and nordic skiing. There is also a cross country ski team that occasionally obtains varsity status depending on team size. 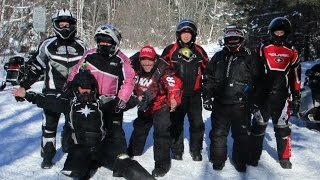 The Municipality of Callander (formerly the Township of North Himsworth) is a township in central Ontario, Canada, located at the southeast end of Lake Nipissing in the Almaguin Highlands region of the District of Parry Sound. The municipality is located on Callander Bay, just south of North Bay. Located at 46.2167, -79.3667 (Lat. / Lng. ), about 9 miles away. Located at 46.3352, -79.4504 (Lat. / Lng. ), about 1 miles away. The North Bay Memorial Gardens is an arena located in North Bay, Ontario. It was built in 1955 and has a capacity of 4,025. The Gardens hosted the North Bay Centennials ice hockey team from 1982 until 2002, when they moved to Saginaw, Michigan. The arena's primary tenants today are the North Bay Trappers of the NOJHL, and the Nipissing Lakers men's ice hockey team of the OUA. Located at 46.3143, -79.449 (Lat. / Lng. ), about 2 miles away. École publique l'Odyssée is a French-language high school located in North Bay, Ontario. Located at 46.3284, -79.4385 (Lat. / Lng. ), about 1 miles away. North Bay Mall is a shopping mall in North Bay, Ontario, Canada. Its stores include No Frills, Harts, SportChek, Winners, One Stop Books, Carlton Cards, Bentley, The Source, Ardene & Dollarama. Restaurants include A&W and the Swiss Pastry Chef. It is also home to Galaxy Cinemas, the only movie theater in North Bay, which replaced Champlain Cinemas in 2002. It is the second largest mall in North Bay, behind the Northgate Shopping Centre. Located at 46.283, -79.446 (Lat. / Lng. ), about 4 miles away. The Near North District School Board ("NNDSB") administers public education in an area of Ontario that is includes all of Parry Sound District, plus a northerly portion of Muskoka District and the western portion of Nipissing District. 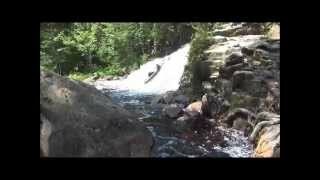 It includes the communities of North Bay, Parry Sound, Mattawa and Burk's Falls. Located at 46.3463, -79.4365 (Lat. / Lng. ), about 0 miles away. Yellek is a community in the Canadian province of Ontario, located just west of North Bay on the north shore of Lake Nipissing in the unincorporated township of Commanda. Now accessed only from Highway 17, the community was first established in 1915 by the Canadian Northern Railway as a rail siding. Being about midway from North Bay to Field, Yellek was the first passing track west of North Bay and was named for trainmaster R. J. Kelley (Yellek is Kelley spelled backwards). Located at 46.34, -79.579 (Lat. / Lng. ), about 7 miles away. The Manitou Islands are a series of small islands in Lake Nipissing, in Nipissing District, Ontario, Canada. The islands form a circle and lie 10 kilometres southwest of North Bay. Located at 46.2781, -79.5761 (Lat. / Lng. ), about 8 miles away. Callander Bay is a bay at the extreme east of Lake Nipissing in Parry Sound District, Ontario, Canada. It is 3 kilometres in diameter and the main community of Callander is located on its east side. Located at 46.2125, -79.3889 (Lat. / Lng. ), about 9 miles away. Chippewa Intermediate and Secondary School (CISS) is located along Chippewa Creek in North Bay, Ontario and is part of the Near North District School Board. A Grade 7-12 school, Chippewa offers Immersion and Extended French programming for Grades 9-12. In addition, students can enroll in a Specialist High Skills Major in Business. A new program, based on the CHAMP Athletic program, is under development. Chippewa's motto is "Carpe Diem" which translates to Seize The Day. Located at 46.3225, -79.4508 (Lat. / Lng. ), about 2 miles away. 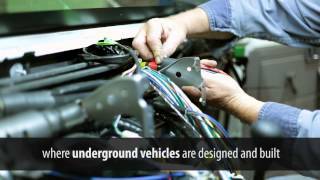 The Ontario Northland Transportation Commission (ONTC), or simply Ontario Northland, is a Crown agency of the Government of Ontario. Located at 46.3042, -79.4594 (Lat. / Lng. ), about 3 miles away. North Bay Railway Station is located in the city of North Bay in Ontario, Canada. The station also serves as an inter-city bus terminal. The modern railway station consists of a train terminal building with a covered bus bay at the rear. The station has access to nearby Northgate Shopping Centre. It is a stop for Northlander trains of Ontario Northland, as well as the Dream Catcher Express. Located at 46.3141, -79.4388 (Lat. / Lng. ), about 2 miles away. The Goose Air Defense Sector (GADS) is an inactive United States Air Force organization. Its last assignment was with the 26th Air Division, being stationed at Goose Air Force Base, Labrador, Canada. It was inactivated on 1 April 1966 and replaced by the 37th Air Division. Located at 46.3375, -79.4117 (Lat. / Lng. ), about 1 miles away. Caribou Lake is a small circular lake in North Bay, Ontario, Canada, located between Wilson Road and Widdifield Road. Located at 46.425, -79.4 (Lat. / Lng. ), about 6 miles away. West Ferris Secondary School (WFSS) is located on Marshall Park Drive in the West Ferris area of North Bay, Ontario. It is a member of the Near North District School Board. Located at 46.2771, -79.4343 (Lat. / Lng. ), about 5 miles away. Four Mile Bay is a bay on Trout Lake in the city of North Bay, Nipissing District in Northeastern Ontario, Canada. The bay is about 5.4 kilometres long, and is separated from the rest of Trout Lake by an equally long peninsula. It varies from 0.2 to 1.4 kilometres (to mi) wide, the former at the mouth of the bay. The community of Camp Champlain is on it southern shore, and Four Mile Creek enters Trout Lake at the bay. Located at 46.3306, -79.3097 (Lat. / Lng. ), about 6 miles away. Anishinabek Educational Institute (AEI) is an Aboriginal-owned and controlled post-secondary institution. Aboriginal institutes partner with colleges and universities to offer students degree programs, apprenticeships, certificate programs and diploma programs. AEI was founded to provide greater access to post-secondary education for Aboriginal peoples. AEI delivers post-secondary programs approved by the Ministry of Training, Colleges and Universities. Located at 46.3381, -79.5617 (Lat. / Lng. ), about 6 miles away. These are some bigger and more relevant cities in the wider vivinity of Fricker.